Fogo de Chão, a Brazilian steakhouse with all-you-can-eat tableside-carved meats, was attributed by Eduardo Escobar before this season as a big reason for his success in 2017, according to an interview by the Star Tribune. Reportedly, Eduardo Escobar is unwilling to be traded to any team whose home ballpark is not located near a Fogo de Chão. Namely, of the teams still in playoff contention this year, this will entirely rule out St. Louis (Cardinals), Cleveland (Indians), and Milwaukee (Brewers). It will likely also rule out the Los Angeles Angels, whose stadium is in Anaheim, 2 hours away from the nearest Fogo de Chão. Of all the divisions in baseball, only the NL West has Fogo de Chão locations in every city, meaning likely suitors for Escobar could be the Dodgers, Diamondbacks, or Giants (who have a 90%, 45%, and 12% chance of reaching the playoffs in 2018, respectively, according to Fangraphs as of July 5th). On the year, Escobar, a utility infielder who has mostly played third base this year, is hitting .277 (.867 OPS) with 13 homeruns and 50 RBI. 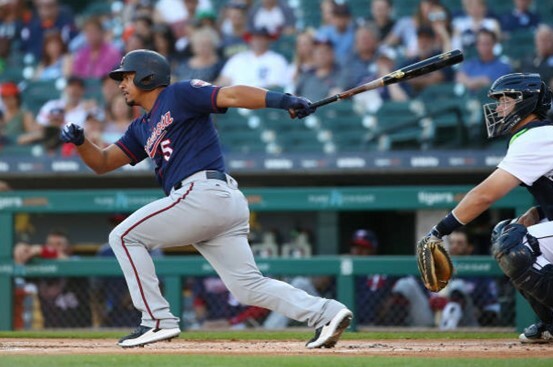 Eduardo Escobar will be a Free Agent at the end of the 2018 season, after earning $4.85M this season with the struggling Minnesota Twins. "Of all the divisions in baseball, only the NL West has Fogo de Chão locations in every city, meaning likely suitors for Escobar could be the Dodgers, Diamondbacks, or Giants." I'm sure Escobar is delighted to now be part of the Diamondbacks organization!